Blair Dunlop, the award-winning British singer, songwriter and guitarist returns to Australia in 2018. Blair will be performing headline shows in Sydney and Cronulla and will feature at this years Blue Mountains Music Festival. Blair will also perform at MODERN FOLK! FROM THE UK at the Thornbury Theatre Melbourne with fellow UK artists Josienne Clarke & Ben Walker direct from their performance at Port Fairy Folk Festival. Blair Dunlop is a captivating vocalist, phenomenal guitarist and writer of songs of the deepest lyrical and musical maturity. 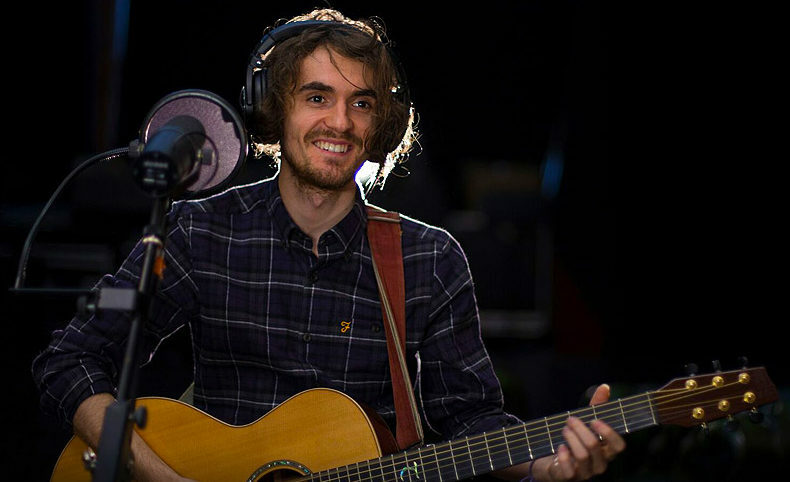 He scooped the prestigious Horizon Award at the 2013 BBC Radio 2 Folk Awards. Richard Thompson was so impressed with Dunlop that he gave him a previously unrecorded composition – Seven Brothers – for inclusion on his debut. Blair has recently been in the studio with producer and collaborator Ed Harcourt (Sophie Ellis Bextor, Paloma Faith, Marianne Faithfull, the Libertines) working on his new album, scheduled for release in early 2018.